English sparkling wine vs champagne is a question with a surprising answer for Brits. Wine week is between May 27 and June 4 in the UK, and this year there’s much to celebrate. With English sparkling wine making big strides, here we look at whether we finally have something that can rightfully sit alongside champagne at the summit of the sparkling wine world. Champagne has been the gold standard in sparkling wine for centuries. It’s long been associated with luxury and the symbol of a high class lifestyle people aspire to, enjoyed by many only on the most special of occasions. It would probably be a surprise to some that champagne is “just” sparkling wine, and that it’s named after the region it was founded in. 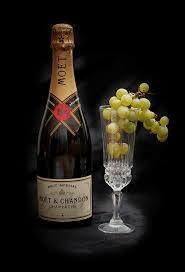 The word champagne is a brand that has probably been more recognisable than sparkling wine itself. However, in the last few years that has started to change. Where does English Sparkling Wine come from? The boom is coming from South and South East England. It had a poor reputation for many years, but English sparkling wine has seen a dramatic turn in fortune. In numerous blind wine tastings between 2013 and 2017, the English have been victorious – even at tastings in the French capital! Remarkably, some of these wines even had the French thinking the English was theirs. In truth, our sparkling wine has been quality for around a decade but it’s only now the wider public is becoming aware of this. 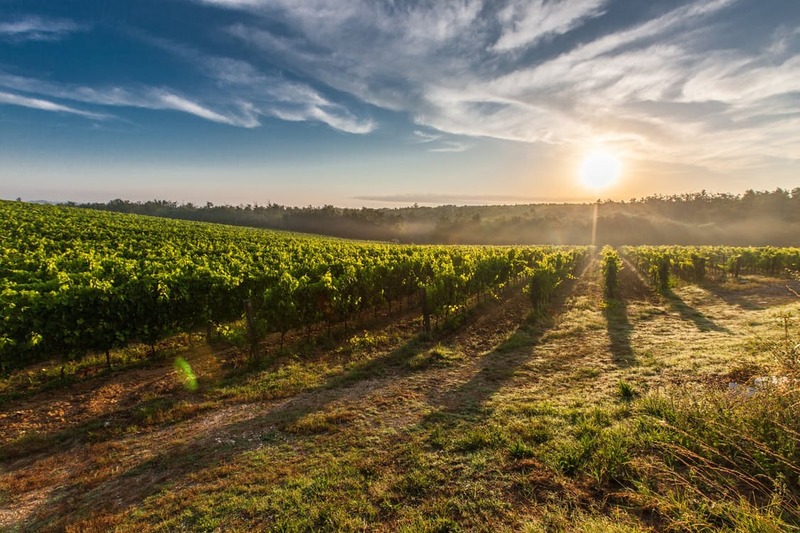 The UK received a huge boost when prestigious French champagne brand Taittinger planted a vineyard in Kent last year, signalling approval of the UK’s emergence. Over the next 12 months, UK wine producers are predicted to plant a record one million vines and increase production by two million bottles annually. Gordon Ramsey’s confidence in England’s offering is evident in his Michelin-starred Bordeaux restaurant. Since its opening in 2015, Le Pressoir d’Argent prominently features English wine on the menu – a brave and bold move. Times have changed and this endorsement, along with the French’s enthusiastic approval, bodes well for the long-term future. What’s behind English Sparkling Wine’s success? Chalky soil and good weather, mainly. Although the hard work, dedication and ability of the winemakers cannot be overlooked! The Champagne region of France and the South East of England were once connected – and the same seam of chalk runs under the Channel between the two locations. With similar chalky soil, as well as a consistently warmer sunny climate, this area of England is perfect for replicating the conditions needed to create a sparkling wine on a par with champagne. Climate change certainly has its advantages for the UK wine industry! A particularly hot English summer in 2003 led to a spectacular result for the UK in January 2010. Nyetimber’s Classic Cuvèe 2003, made in Sussex, was crowned Champion of Worldwide Sparkling Wines after a blind tasting competition, organised by Italian wine magazine Euposia. English sparkling wine is also made from the same grapes as champagne – Chardonnay, Pinot Noir and Pinot Meunier. Should restaurants serve English sparkling wine? Yes! Celebrating wine from these shores will invoke national pride and get people curious to try our own bubbly – especially as its reputation grows. With the UK’s impending exit from the European Union, importing goods will doubtless become more costly. Figures from the Wine and Spirit Trade Association reveal that, post-Brexit, the average bottle of wine from within the EU would go up by 29p. This will likely see a major shift towards British-made goods, so it’s something restaurants and bars can take advantage of. Now’s a good time to get behind English sparkling wine! What about English white/red/rosè wine? These wines account for 34% of wines produced in England and Wales, with sparkling accounting for a whopping 66%. Sparkling wine production began exceeding still wine from 2010 and has continued to grow year-on-year. Is there a downside to selling English sparkling wine? As we all know, British weather is unpredictable. We can go from torrential rain to tropical sunshine in the space of an hour, even in winter. The reliance on consistently good weather for producing sparkling wine means the whole industry balances on a knife edge, and there’s not a lot anyone can do about it. 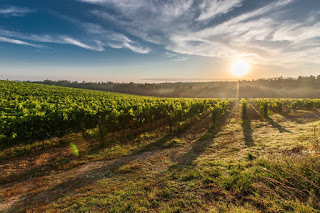 In 2012, a year in which the sun found itself behind the clouds all too often, Nyetimber (pioneer producer of high quality English sparkling wine) produced nothing. Hattingley Valley expected to pick 200 tons of grapes that year only to end up with 11. With the industry depending on an unreliable variable, there’s always the potential for disaster. Champagne enjoys unprecedented protection. Not just anyone can call their sparkling wine champagne – in fact, you could find a lawsuit coming your way. 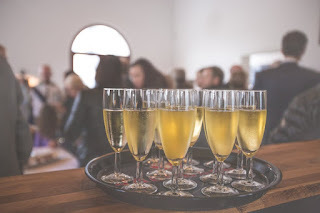 Over 70 countries worldwide legally recognise the rights to ‘champagne’ as being exclusive to wine produced in the Champagne region, with specific grapes and production method. Clever and relentless marketing led the world to seeing champagne as a luxury drink, one which is worth the extra cost. The Duchess of Cornwall, Camilla Parker-Bowles, has said she feels our wine needs a catchy name to help give it status. In November 2016, sparkling wine from the Sussex region of England was given protected status by the Department for Environment, Food and Rural Affairs. This ensures the quality control and high standards that must be met for production, much like champagne. Perhaps luxury bottles of Sussex will be sitting on shelves worldwide in the next few years. Those who order wine from you aren’t just looking for a drink, but an experience, and the glass you serve it in is all part of this. Wine can be enjoyed in any kind of glass, mug or cup of course – but (particularly for high end businesses) image is often key. It is also believed taste can be affected depending on the glassware. A wide opening allows the aroma to reach your nose at the same time as you taste it during a sip, doubling the enjoyment, whereas taller glasses concentrate the aroma and directs wine to the back of the mouth. Larger bowls help aromas to accumulate. A lot of thought goes into how glasses can get the best out of wines, here are the types of glass. There are different types of suggested wine glasses for the other kinds. Red wine can be served in a round bowled glass. White and rosè wine may be served in a U-shaped tapered glass. However, these are not strict rules. In today’s world where businesses strive to be artisan – you may prefer to serve your wine in a goldfish bowl or a jug, for example! Be aware of what your customers want, however, because quirky isn’t for everyone. The future for English sparkling wine is looking good. With a decade of quality production in the bank, worldwide awards and now foreign investment from renowned champagne makers, it seems our reputation on the world stage is only going to increase in the coming years.